What all can you think of that you may need for hunting and camping? 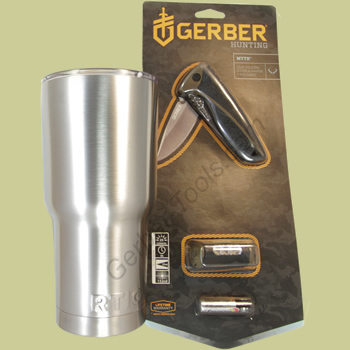 Three things that may certainly be part of your list are a knife, a light, and a drinking container! 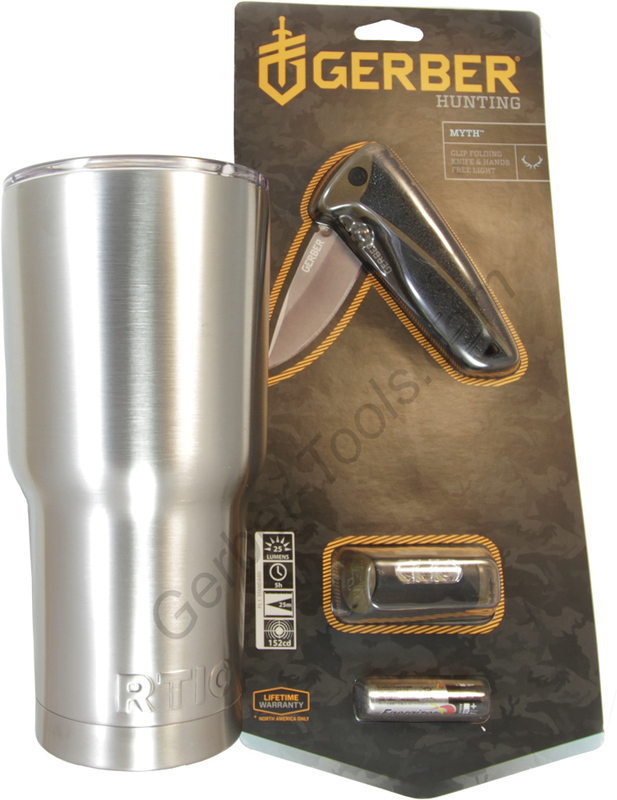 This combo deal was inspired by what may be common things brough with someone when they go hunting or camping. 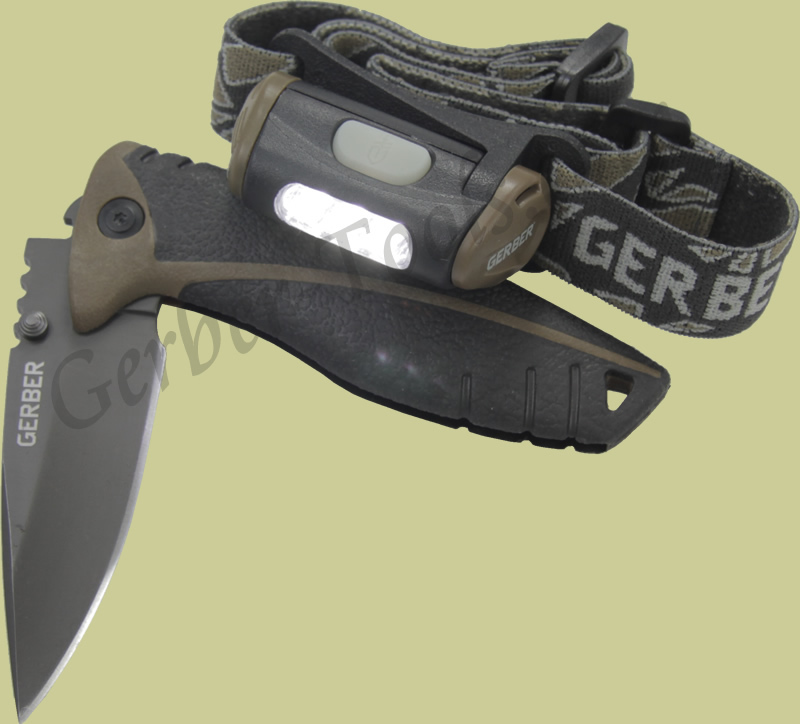 Here we have a Gerber Myth combo set that features the Gerber Myth knife and a headlamp. Also included is a double-walled stainless steel travel mug that keeps your drink cold (or hot) for hours and hours! As a matter of fact we have had some people say they left their mug in the car only to find it still had ice in it days later! Now here is what is really cool about this deal. If you order laser engraving, and you want the laser engraving on your cup, we will put the cup in our rotational device and burn your text onto the round surface of this tumbler. If you want to engrave on your knife and your tumber be sure to add two engravings to your order. If you have a company logo or something artistic you would like on your knife or tumbler please call us at 800-458-1606, because we can make that happen for you too!